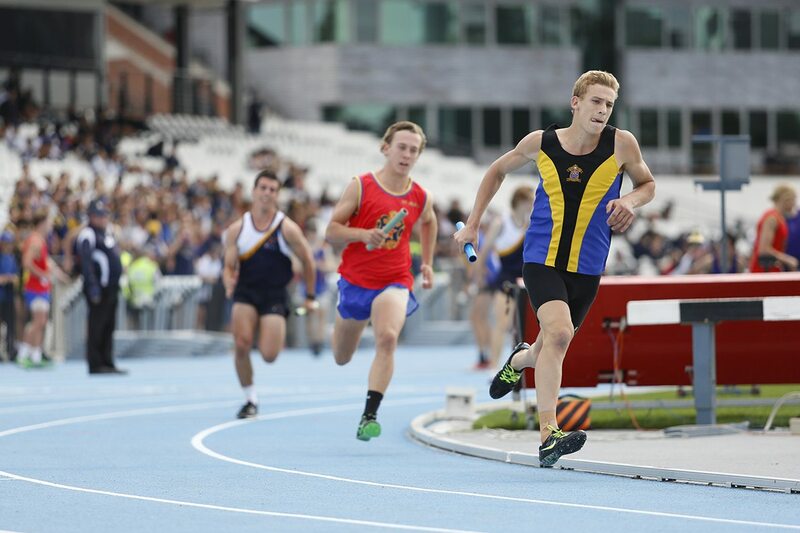 ACC Sport was at its finest yesterday at Lakeside Stadium, with the running of the 2017 Athletics Championship. 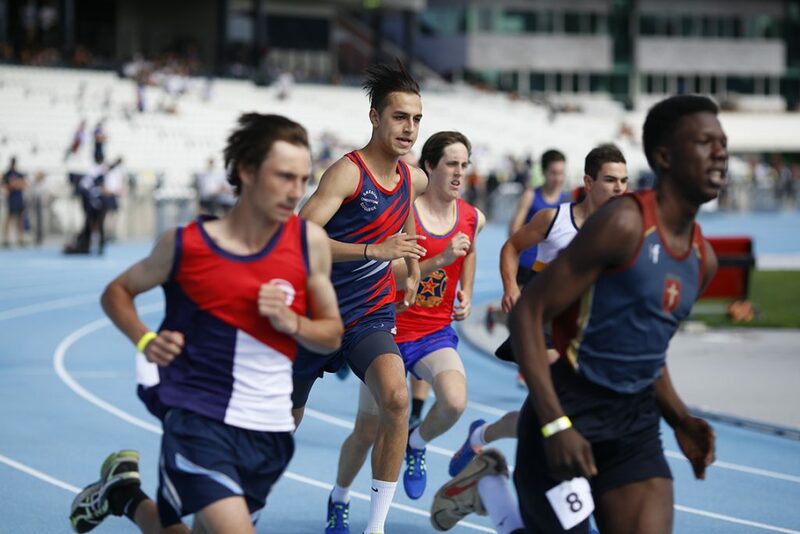 Hot action on the track, some huge performances in the field and a sensational carnival atmosphere made it a memorable event for those in attendance. With the addition of our newest member, St Joseph’s Ferntree Gully, we had 6 teams involved in our Division 2 competition for the first time ever. Whilst there were some good performances across the day from CBC, Emmanuel and Simonds, it was really a battle of the top three who were all chasing the Division 2 Cup and promotion back into the top section. Mazenod finished in third place on 310.5 points behind St Joseph’s FTG on 348.5. Congratulations to the Division 2 champions, Salesian College, who were deserving winners with an aggregate score of 360.5 points. The Most Improved Award for Division 2 went to CBC St. Kilda. 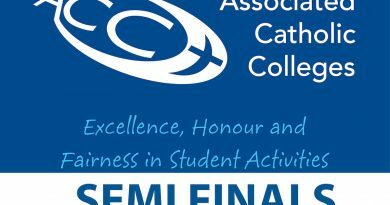 In one of the closest spread of results in recent years, the Division 1 teams all performed superbly with the awards shared amongst a number of schools. 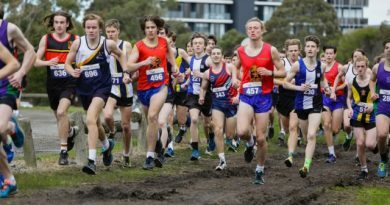 At one stage late in the day, one school was ahead by 15 points and the remaining 5 were all within 10 points of each other. The excitement was palpable and every event played an important role in establishing final placings. 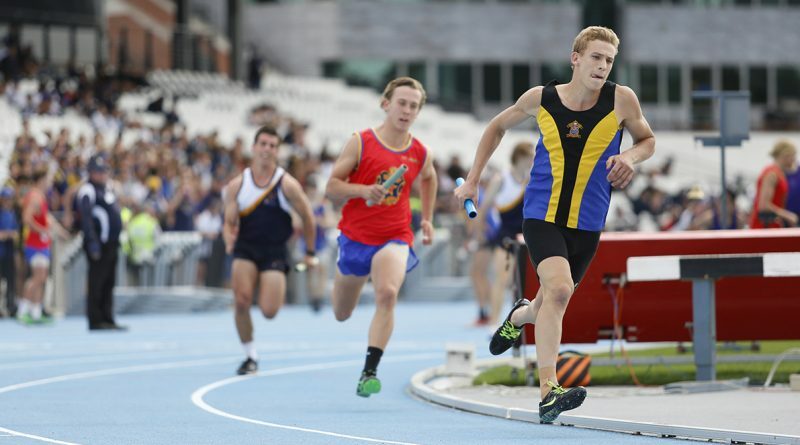 At the conclusion of proceedings, St Joseph’s Geelong fell just short of causing a major upset, finishing last behind St Bernard’s and facing relegation back to Division 2 for 2018. Whitefriars finished in 4th place on 266 points just shy of St Bede’s on 268.5. Our runner up for this year was De La Salle on 279.5, with our champion team for 2017 being Parade College with a score of 301.5. Congratulations to all involved with the champion team from Parade. 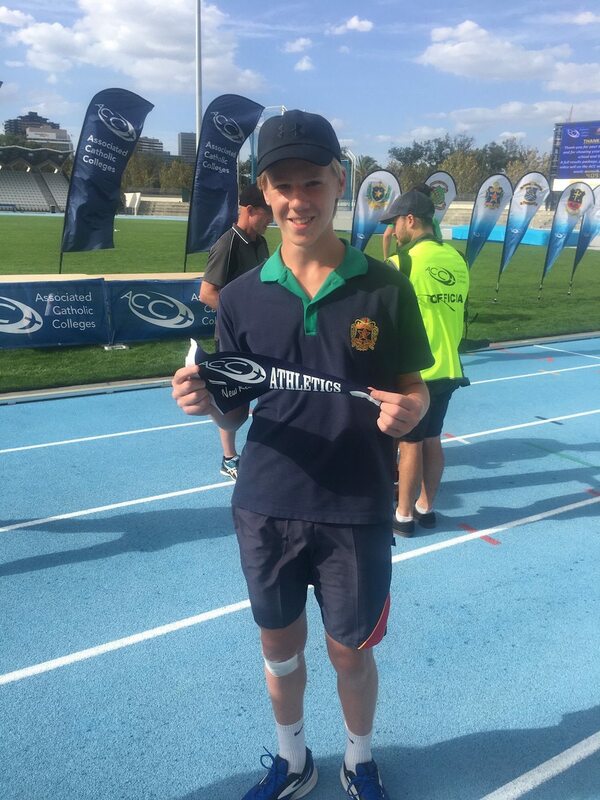 The triple jump provided plenty of excitement throughout the day, with the Under 14 record being broken twice within the same event. 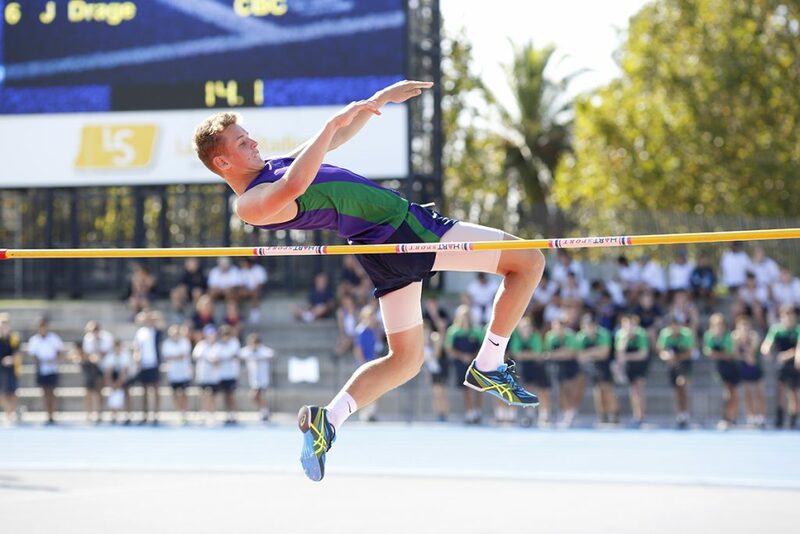 Finn Murphy from St Joseph’s Geelong jumped superbly to set a new mark, only to be upstaged by his competitor from St Bede’s, Thomas Murphy. 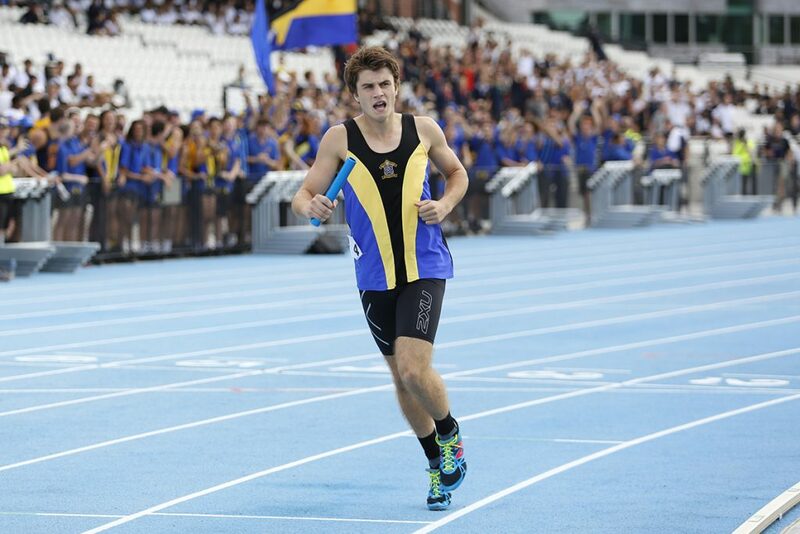 Thomas set a new record of 12.47m, breaking the previous record set in 2002 of 11.92m. Congratulations to Thomas on this magnificent achievement. The athletics championship is one of the biggest events on our calendar and involves the support of a large number of people. The ACC would like to acknowledge and thank the many officials and volunteers that played a critical role in the success of the day. The team work and camaraderie amongst the schools is a major feature of our Association. Well done to all involved and thank you for your time and effort. For a full results package, click on the link below. 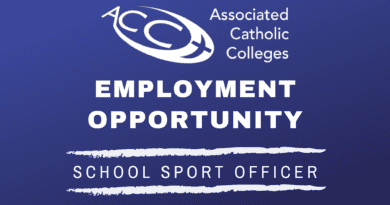 Additional details have been provided to the Director of Sport at each school. Full coverage of our event will be made available in the near future, including action photos from around the venue and an event video with the many highlights of the day. Keep your eye on the website and on our social media platforms over the coming days.